Look for more here soon about the Hanover Girls Coaching Program! While the rosters and registration is finalized over the early spring months, we are also actively seeking candidates as Head Coaches for the 2017-18 season, and also names of anyone interested in helping as an Assistant Coach. See below for the press release from February, and if interested please contact us as soon as possible as we are looking to finalize coaches soon. The Hanover Girls Hockey Program will be celebrating 25 years of hosting Girls Hockey teams during the 2016-2017 season, and is actively seeking enthusiastic coaches to lead and assist with its five teams and programs. We are taking applications for Head Coaches and also seeking names of anyone interested in being an Assistant Coach over the month of March. 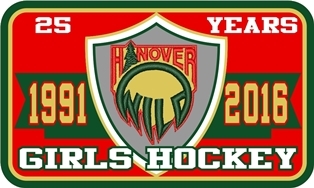 In 2016-2017 Hanover will field a Girls Development Team (new players age 8-13), Tier II Travel teams for 10U, 12U and 14U plus a 13U Independent/B travel team. No previous coaching experience is required (to be an assistant coach), and Hanover Hockey will help train both new and old coaches with both USA Hockey resources and a strong internal Coaching Program. Coaches who bring enthusiasm, excitement and high expectations and can work well in a team setting with not only their own team but also within the Girls Program are encouraged to call.